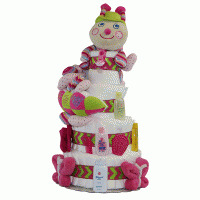 A baby girl will win your heart instantaneouly so why not give her a piece of yours with this wonderful Hearts & Flowers Baby Gift. 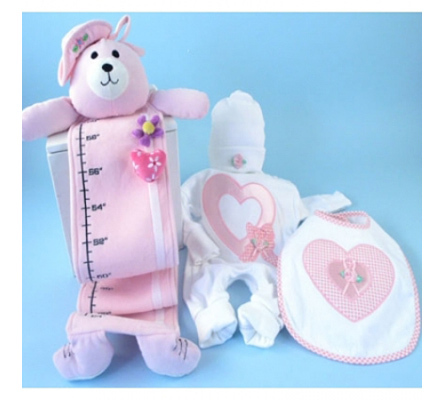 This sweet as can be baby gift includes a premium 100% cotton interlock outfit with a big, gorgeous satin heart applique /embroidery on front to show everyone how much you care. 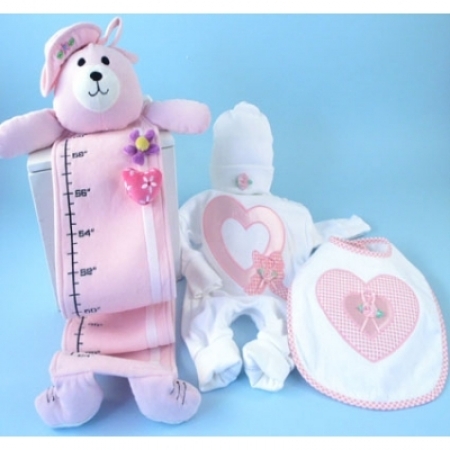 The outfit comes with a matching hat decorated with a petite flower, full sized bib, and a lovely wall hanging growth chart for the parents to keep track of baby's growth. 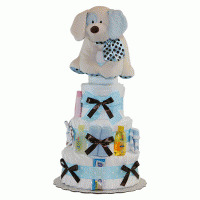 All four pieces are beautifully wrapped in a white gift box. 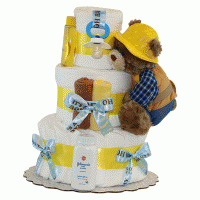 Give baby a piece of your heart with a Hearts & Flowers Baby Gift.